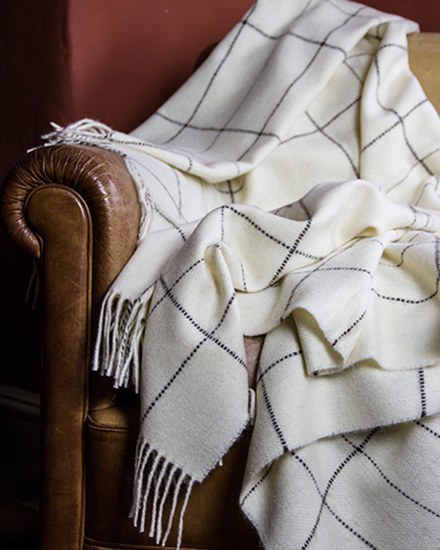 Our Hebridean Classic throws are woven from a special blend of mountain wools, making the most of the beautiful natural fleece colours. 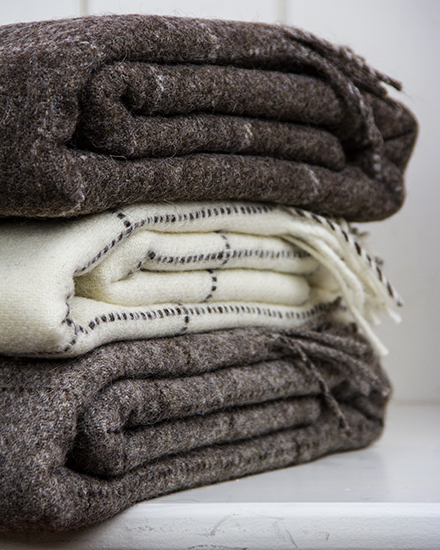 Just a handful of peaty brown Nevis blankets left in stock. 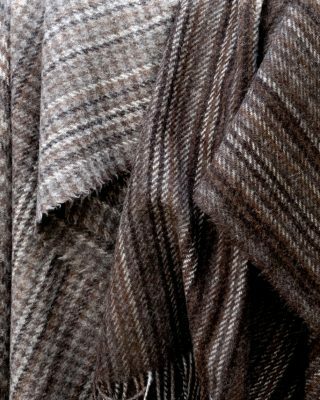 We weave our Hebridean Classic Throws from our own special blend of Hebridean, Black Welsh Mountain and Shetland wools. 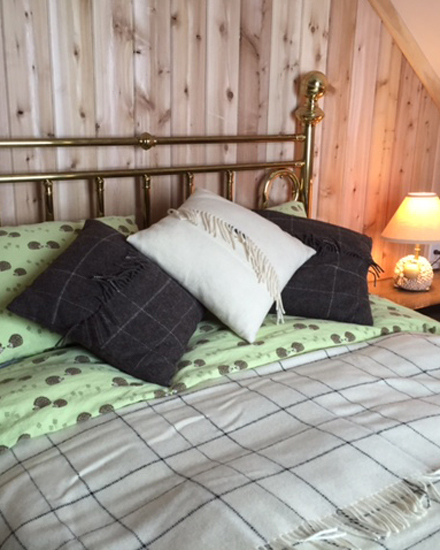 Most of the wool is grown in Cumbria, with the rest coming from the Scottish Highlands and Shetland. 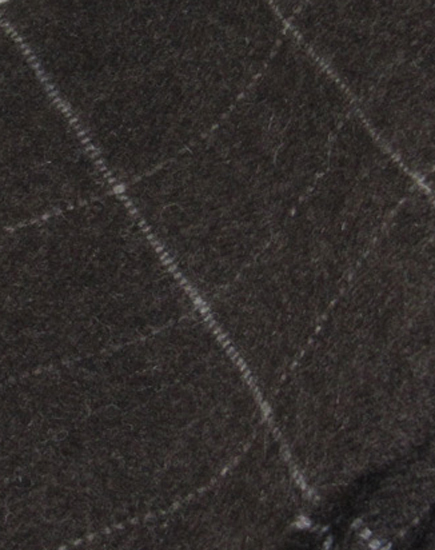 The wool is spun into a fine weaving yarn in West Yorkshire. 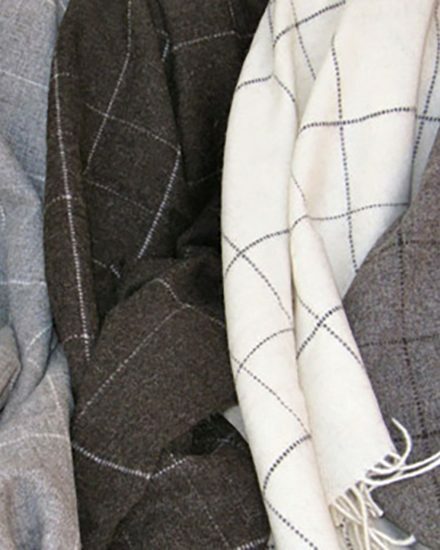 The throws are woven in the Scottish Borders. 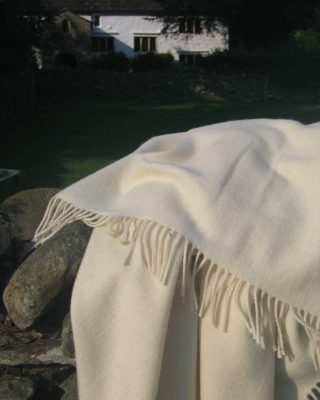 The natural colours are created through blending of the fleece, with no need for dyes. 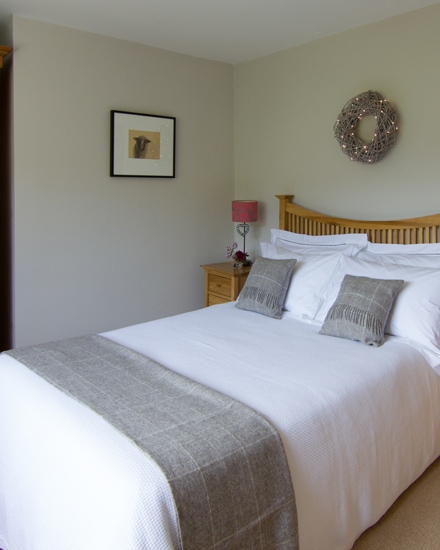 These superb blankets will keep you warm and cosy through winter nights and chilly spring evenings. 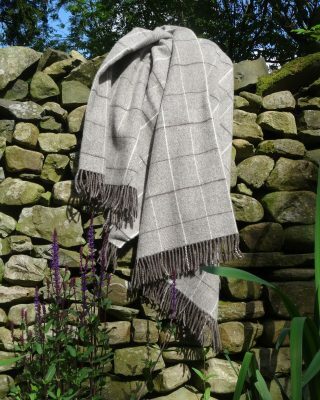 See our New Hebridean Throw for an updated design available in two colours. 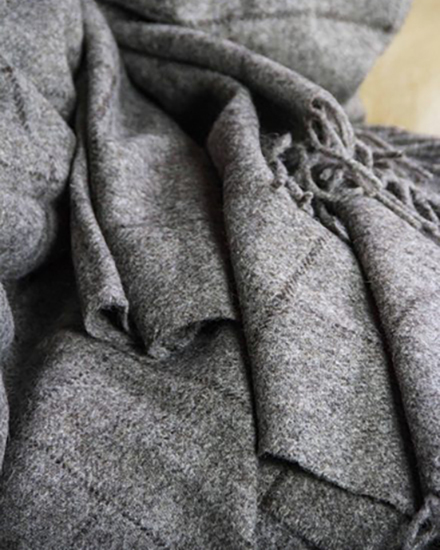 “I like the fact that I know where the wool in it came from and that it’s British and associated with such beautiful places.” Anwen D.
Recommended care: cool hand wash or dry clean. Do not tumble dry. Use a warm iron to remove creases. Can be machine washed at 30C on a gentle wool cycle.